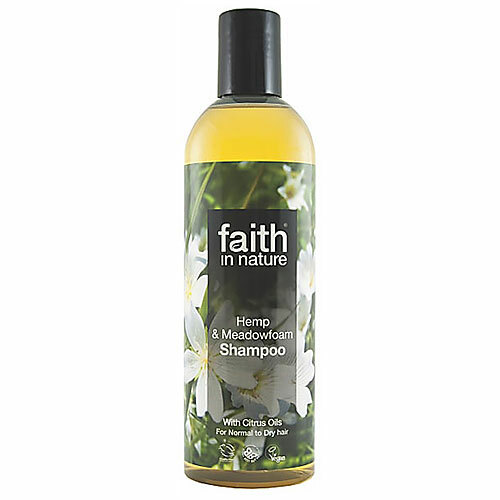 Aqua, Ammonium laureth sulfate*, Maris sal (sea salt), Polysorbate 20*, Cannabis sativa seed oil*, PEG-75 meadowfoam oil*, Cymbopogon citratus leaf oil*, Zingiber officinale (ginger) root oil*, Citrus paradisi (grapefruit) peel oil*, Citrus reticulata (tangerine) peel oil*, Melaleuca alternifolia (tea tree) leaf oil*, Potassium sorbate, Sodium benzoate, Citric acid*, Citral^, Geraniol^, Limonene^. 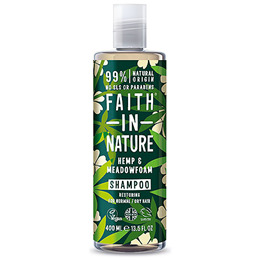 Below are reviews of Faith in Nature Hemp & Meadowfoam Shampoo - 400ml by bodykind customers. If you have tried this product we'd love to hear what you think so please leave a review.